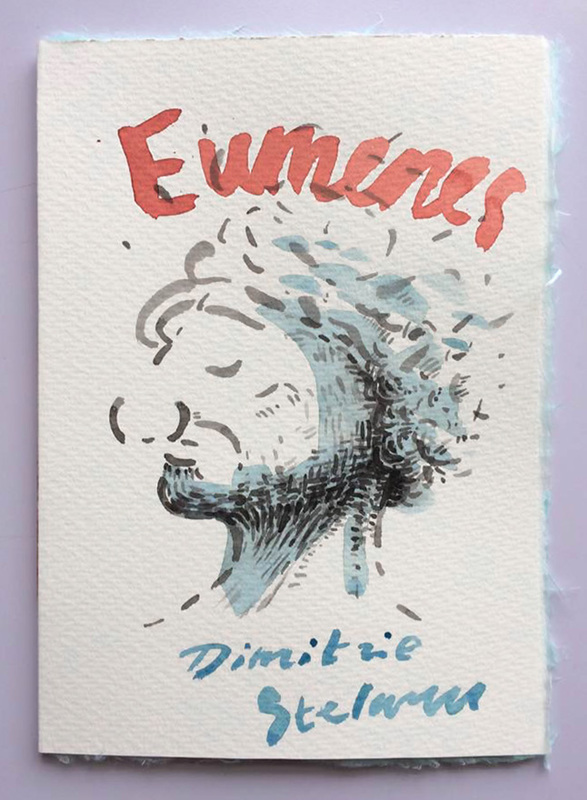 With drawings by Ben Schot. 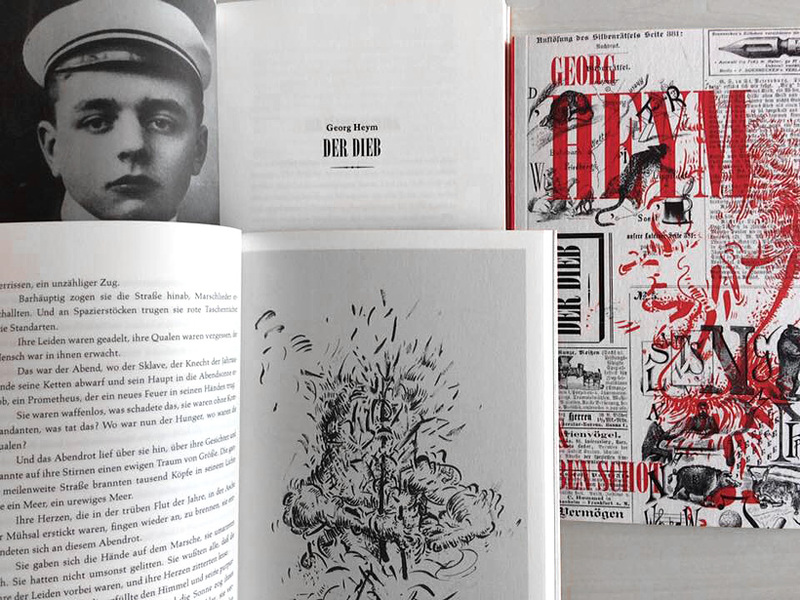 Inspired by Baudelaire and his translations of Edgar Allan Poe on the one hand and Friedrich Nietzsche and early expressionism on the other, Heym’s tales in ‘Der Dieb’ are supremely grotesque and dark to the extreme. And all of them written in an evocative style that builds up to absurd climaxes and erupts in apocalyptic scenes of violence. ‘Der Dieb’ – first published posthumously in 1913 – consists of seven tales: ‘Der Fünfte Oktober’, which is a wild ride on mob sentiments, ‘Der Irre’, a psychopath’s celebration of freedom, ‘Die Sektion’, a sigh of love from the autopsy table, ‘Jonathan’, the ecstacies of pain during a hospital romance, ‘Das Schiff’, a cat-and-mouse thriller with the Black Death aboard, ‘Ein Nachmittag’, the first dagger of love in a young boy’s heart, and ‘Der Dieb’ itself, in which a religious and mysogynist maniac triggers his personal apocalypse. 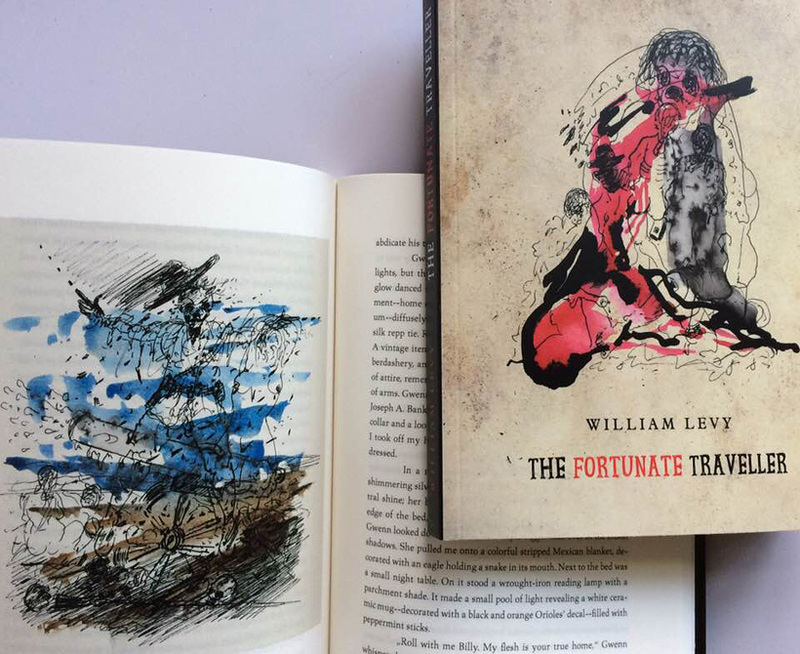 All of them ruthless and beautiful tales, combined with nine of Schot’s drawings, wrapped around the tales to fit them in atmosphere rather than illustrate them. ‘Über die allmähliche Verfertigung der Gedanken beim Reden’ (On the Gradual Construction of Thoughts during Speech) is an essay written by Heinrich von Kleist in 1805. In the guise of a letter to his friend, general Otto August Rühle von Lilienstern, Kleist advises to start speaking – to whoever is around – when further meditation on a problem brings no solution. The French say “l’appétit vient en mangeant”, Kleist writes in his essay and adds that “l’idée vient en parlant” as well. “I have only to begin boldly and the mind, obliged to find an end for this beginning, transforms my confused concept as I speak into thoughts that are perfectly clear, so that to my surprise, the end of the sentence coincides with the desired knowledge”, Kleist explains and stresses that a sense of danger on the part of the speaker heightens the effect. He gives examples of improvised speeches that either became a turning point in history or saved the speaker’s life, such as the Count of Mirabeau’s improvised speech to the accent régime’s Master of Ceremonies or the fox’s shrewd improvised plea in La Fontaine’s fable ‘Les animaux malades de la peste’. Speeches like that, Von Kleist formulates, are pure articulated thought. Real Free Press was an alternative comics store and press in Amsterdam in the 1970s, run by former Provo-member Olaf Stoop (1945-1999). Between 1968 and 1974 the press published six issues of its Real Free Press Illustraties which contained – in Dutch translations by Martin Beumer – works by well-known American underground artists such as Robert Crumb, S. Clay Wilson and Will Eisner and launched the Dutch artists Peter Pontiac, Bernard ‘Willem’ Holtrop and Joost Swarte. 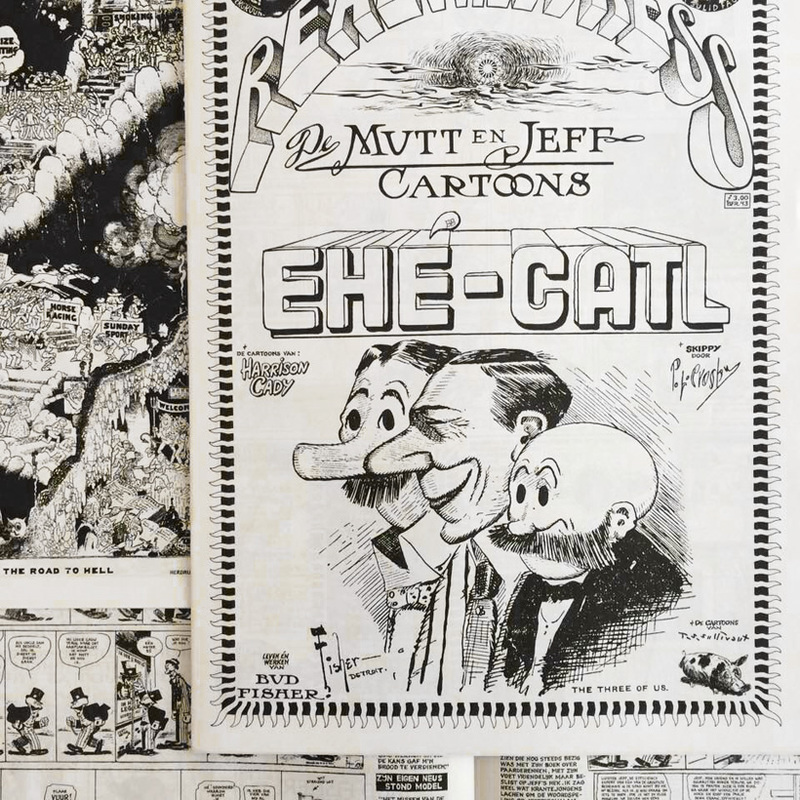 Dutch translations of early 20th-century comics such as Krazy Kat and Little Nemo in Slumberland, advertisements, anarchist texts, reviews and interviews also found their way into the six Real Free Press Illustraties and the only issue of ÉHÉ-CATL (1971). Real Free Press, with its roots in the Dutch Provos and anarchism, was a product of the Amsterdam counterculture of the 1960s and 1970s. The store served was a hotbed of subversion, where imported American, British and French underground comics and records were enjoyed and changed hands. After Bill Daley’s Daley News had taken over the European distribution of underground comics and magazines in Amsterdam in the mid-1970s, the role of Real Free Press steadily diminished. Olaf Stoop and Martin Beumer ceased all activities of the press and store in 1985. 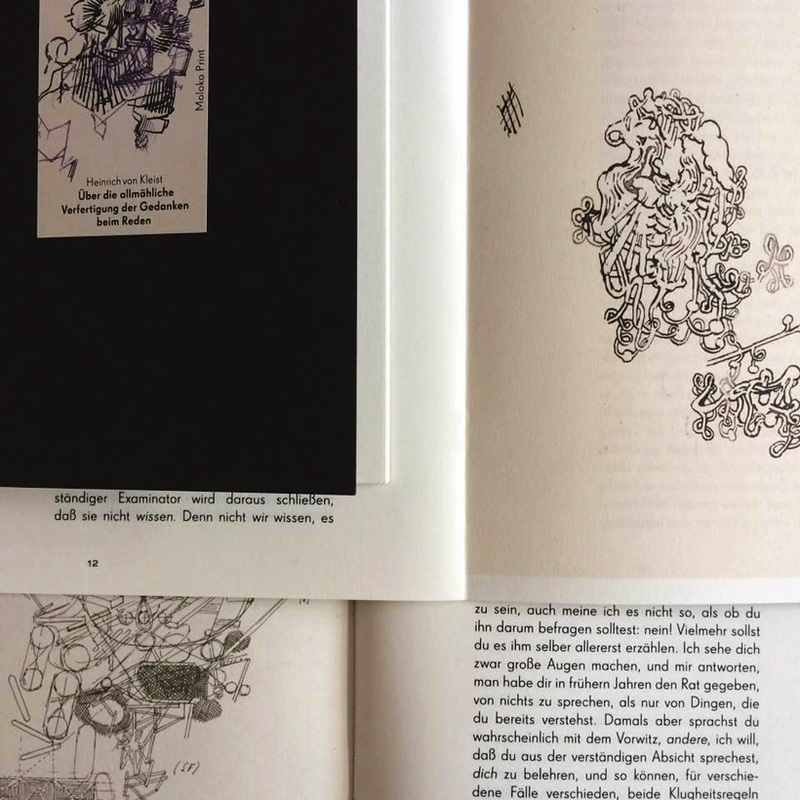 Avaialble from our Collectible catalogue are a limited number of copies of Real Free Press Illustratie No. 4 (1971), Real Free Press Illustratie No. 5 (1972), and ÉHÉ-CATL (1971). All copies in very good condition and unfolded.